Your overflowing closet isn’t giving you more options. It’s actually limiting you. 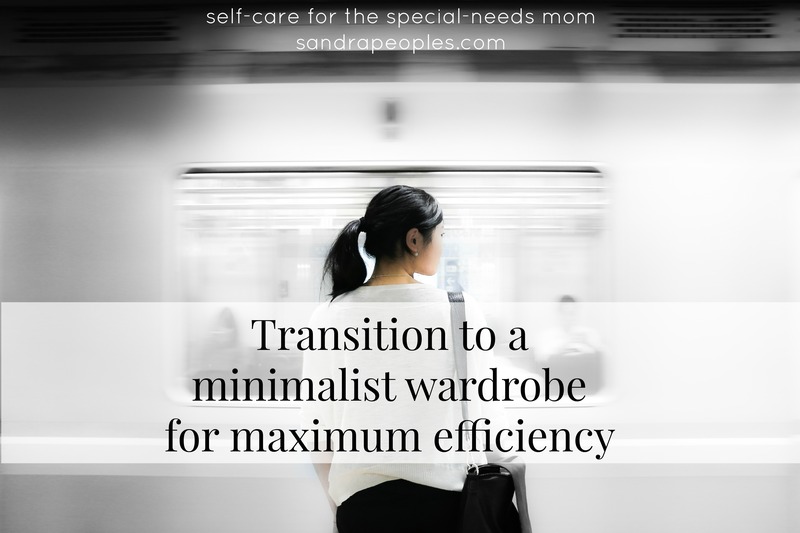 Transition to a minimalist wardrobe for maximum efficiency. Getting dressed each morning was getting stressful, especially on Sundays. By the time we left for church, the reject pile covered my bed. So much of what I tried on didn’t fit right or feel right. So I followed Marie Kondo’s method and got rid of over half of my clothes. Sizes that were too small. Shirts that weren’t cut right that I always pulled at when wearing. I even donated most of my t-shirts, deciding only to keep the ones I really love. In our new house I have the biggest closet I’ve ever had and way fewer clothes to put in it. But I love wearing each item! Most of my newer clothes come from Stitch Fix (referal link). It’s a site that shops for you. After asking questions to help determine your style, a stylist picks out 5 items she thinks you’ll love. You have a few days to try them on and then return the ones you don’t want (free shipping). They even include style cards to help you put together outfits. Using Stitch Fix helped me figure out what my style is. I also paid attention to people I saw on TV or whose Instagram accounts I follow who have a similar body type to mine (I’m only five feet tall!) and whose style I like. For example, I always like what Joanna Gains wears on Fixer Upper. She looks casual and comfortable, but still stylish. When looking for new clothes, I think of her style and pick clothes I like that are similar to what she would wear.